Included in Colleran auctioneers' next auction is a seaside property, described as something special by many who have already viewed it. 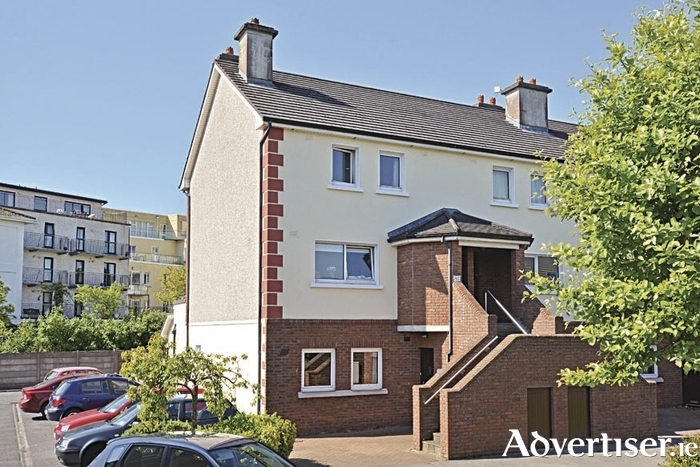 No 96 Ocean Wave, Salthill, is a bright ground floor two bedroom apartment situated opposite Grattan Beach in a beautiful landscaped and well maintained exclusive development. What sets No 96 Ocean Wave apart from other apartments in the Salthill area is that it has its own south facing sun filled back garden, with both bedrooms having patio doors opening out on to it. Another unusual extra is a new pellet burning stove which adds to the homely feel of this property and complements the electric heating. Accommodation comprises open plan kitchen, living/ dining area, two bedrooms with master bedroom en suite, and bathroom. This is an end apartment with ample parking outside the front door. Viewers who would have previously discounted an apartment when looking for a home in Salthill have been very taken by this property. With every necessary amenity on your doorstep, and with Grattan Beach, Salthill Promenade, and the city centre within walking distance this apartment is a must see for those looking for a home, investment property, or a holiday home. No 96 Ocean Wave will be offered for sale by public auction on July 23. Advised minimum value is €185,000. Open viewing takes place Saturday from 12 noon to 12.30pm. Contact Colleran auctioneers at 091 562293.